About the Book: Sara, a ten-year-old girl in a small country town, startles her family when she inexplicably begins to heal others afflicted with fatal conditions, making her overnight an unlikely media celebrity. As if that weren’t enough, she insists all the while that the healing was done not by her but by Jesus, whom she sees walking on a lake! But was she really alone in seeing Jesus? As the story unfolds, Sara’s life takes an unexpected twist that bewilders her entire community. Besides being a compelling read, Sara’s story makes for an exhilarating spiritual experience. 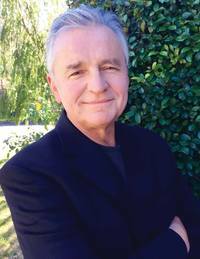 About the Author: A former documentary and commercial filmmaker, Peter Szondy is an internationally published poet, educated at the University of Vienna and Loyola Marymount University. He lives in Ojai, CA. 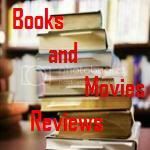 My Review: Peter is a natural storyteller. 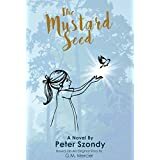 In this wonderful novel, he tells us the story of Sara, a ten year old girl from a small town that has a faith so strong that affects everybody around her. It is wonderful to read the description of people who have lost faith and through Sara's faith they find hope back into their lives. The simplicity of her reasoning is so sweet that even her Pastor is amazed at her. Visiting priests and her doctor have the opportunity to witness some events they cannot explain. Kudos to the author, that so nicely reproduced the original story of G. M. Mercier in a way that keeps you on the verge of crying and throughout the whole book you only desire that you have a fraction of Sara's faith. At the end, this book will make you reflect deeply and I can guarantee that you will try to be a better person after finish reading it. I highly recommend this book to all readers, believers or not, Faith is something that we find in children in its most pure state. And this story will prove that and it will really touch you. I received this book from the author, but I was not requested to post a positive review. Opinion expressed here is my own.